Are you a bride to be and future Mrs? Customize a cute bag to use during your wedding planning! 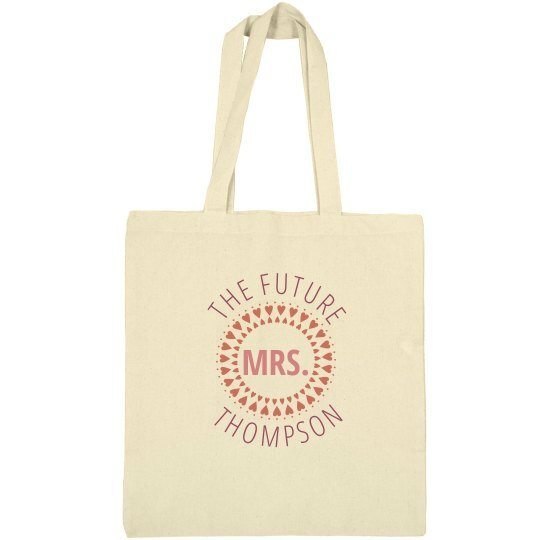 Custom Text: THE FUTURE | THOMPSON | MRS.